The Miller Trailblazer 250G is a gasoline-powered welder/generator designed for use in single-phase, constant current or constant voltage modes. Its maximum output is 250 amps and it is rated at 4,000 watts. The unit can be mounted on a trailer or pickup truck bed for maximum portability. The maximum wattage output for the Trailblazer 250G is 4,000 watts. The auxiliary power rating is 4-kVA/kW, 33/16.5A and 120/240 volts AC in single phase. The Trailblazer 250G is a single-phase-only welder. The amp output range in constant current mode is 25 to 250 amps at 14 to 36 volts. 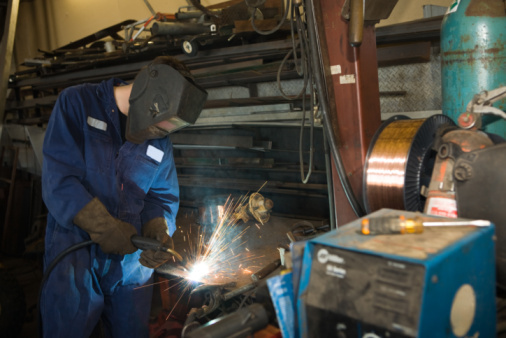 When using the welder with alternating current output, the rated welding output is 200 amps and 25 volts at 100% duty cycle, with a maximum open current voltage of 72 volts. When using direct current output, the rated welding output is 200 amps and 25 volts at 100% duty cycle, with a maximum open current voltage of 95 volts. In constant voltage modem the rated welding output is 200 amps and 20 volts at 100% duty cycle, with a maximum open current voltage of 46 volts. The Trailblazer 250G is a capable welder and can provide multiple types of welds for maximum flexibility. 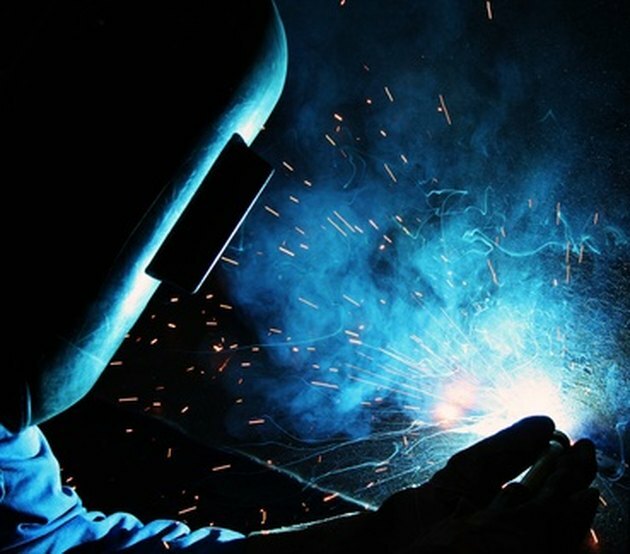 The four types of welding which are possible on this unit are: shielded metal arc welding, fluxed core arc welding, gas metal arc welding" and gas tungsten arc welding. The Miller Trailblazer 250G is powered by an Onan P200 air-cooled, two-cylinder, four-cycle, gasoline engine. It has a 7.5-gallon fuel tank. If you intend to mount the Trailblazer 250G on a trailer, ensure that the trailer can safely support the weight of the unit, which is approximately 575 pounds. Most pickup trucks should have no problem carrying the welder to your job destinations. Darrell Young is the author of several photography books, as well as a blogger and professional stock/wedding/event photographer. Working in photography since 1980, Young also has more than 25 years of experience in information technology engineering.